The buying and selling of most products and services have moved online along with furniture. The scale and scope of furniture sale online have indeed become massive. There exist specialized stores and divisions to deal with this. This also means that the purchase and sale of second-hand furniture can be made the same way. Many kinds of second-hand furniture are catered to in this manner. This article discusses the purchase of affordable and good quality kitchen furniture online. It must be ensured that this furniture is both affordable and effective while being of good quality and type. It must also be durable. Here are some tips to buy affordable used kitchen furniture. Know for sure what use you will be putting your equipment too. Ensure that you know what kind of furniture you require, and the purpose for all these individual units. Know how well you will be using the kitchen, what kind of furniture arrangements you will require and the size of the kitchen as well. It is equally important to know what ancillary appliances you plan to use in this kitchen and the different methods in which these can be employed. These requirements will help you put together a beautiful and effective kitchen. Analyze what kitchen arrangement and style you have so that more space is utilized and there is no waste of any resources. The many types of kitchens could be single file kitchens, one-way galleys, double file kitchens, L shaped kitchen, U shaped kitchen, G shaped kitchen and even a block-shaped kitchen. Make sure that your furniture is arranged properly and will suit the type of kitchen you have. When designing a kitchen, it is important to analyze the many kinds of kitchen furniture that are in existence. These differ in style, patterns, design, durability, usage, and many other factors. 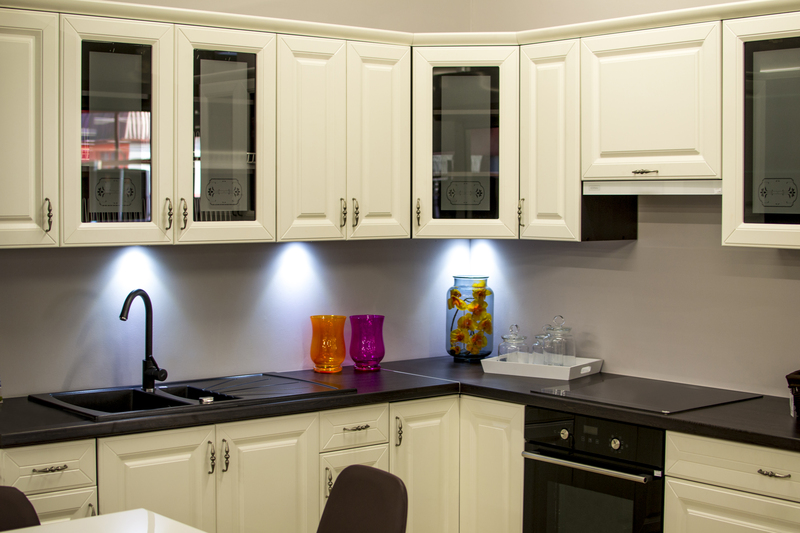 There are modular units, which come in pre-designed and merely have to be fit into your kitchen space. A wide variety of colors, sizes, patterns and so on are options that you can choose from. There are rigid units as well, which are purchased pre-assembled. The scope to alter or modify these is quite little. There is a list of materials to choose from. Some of these are wood, laminated material, stainless steel, glass and a host of such. While purchasing, do pay attention to these details as well. The importance of each material is different and it must be purchased according to the discretion and usage for the user. There are a wide variety of factors that could potentially affect the cost that you have to incur on getting second-hand furniture. These various factors involve the material that is used, the construction and upholstering charges, the technicalities and other details, as well as the style that you opt for. Keep these in mind while purchasing your second-hand furniture.